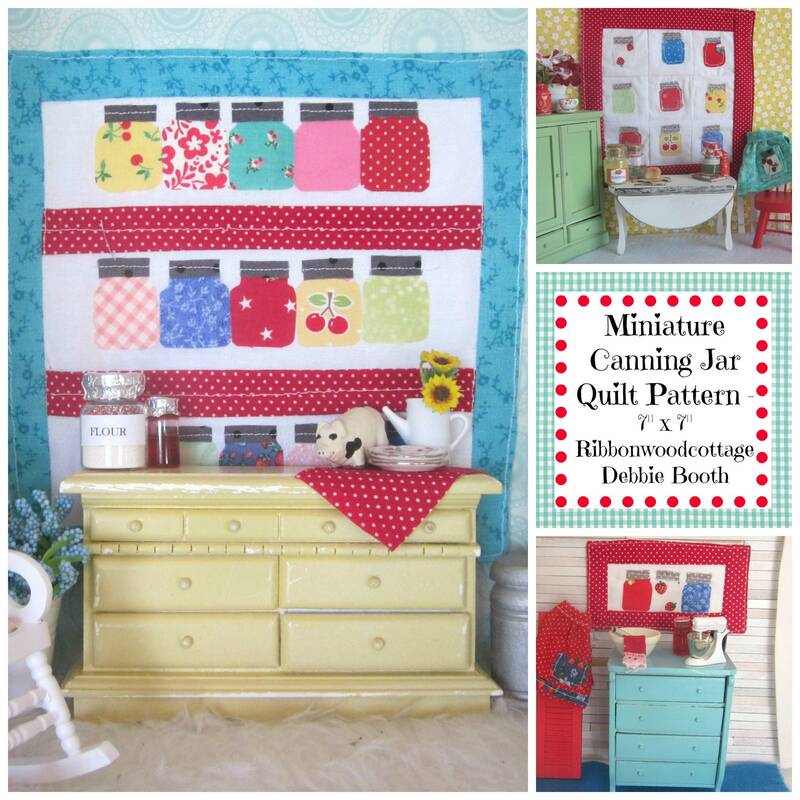 Miniature Canning Jar quilts is one of the easiest patterns I have made! I think you are going to love it. It is made intentionally to be a simple pattern for making what I would term a 'decorative miniature quilt.' I think simple + pretty fabric = a wonderful finished product. 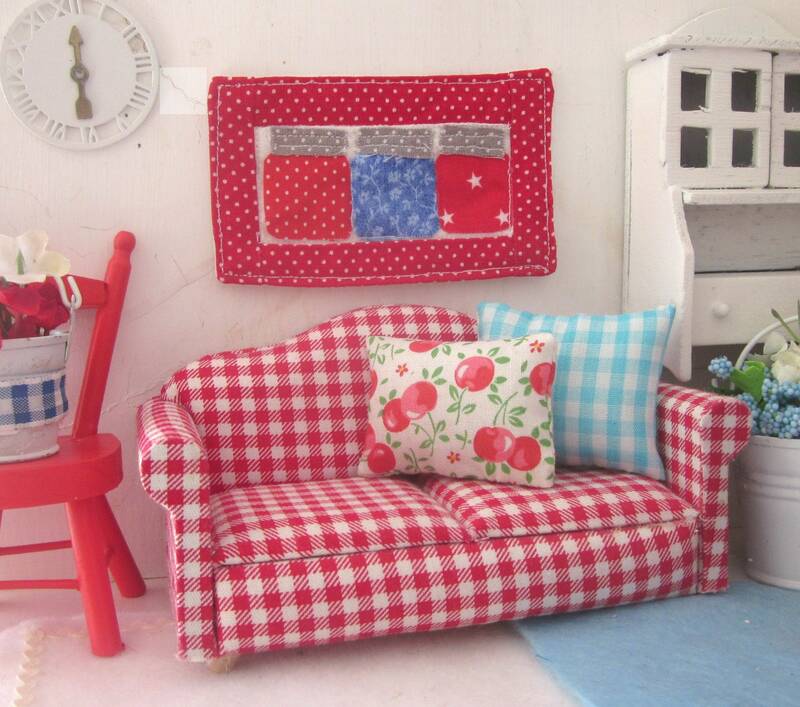 If a pattern is simple and not frustrating then the sewing process is more enjoyable. Miniature canning jars are made with fabric and paper backed fusible product. So easy to adhere to the little quilt blocks. The sewing is all straight lines and I show pictures with step by step guidelines for putting the quilt pieces together. The finished piece is about 6 1/2" x 7". Small enough to be used in a miniature dollhouse or used on a wall for a little decoration. 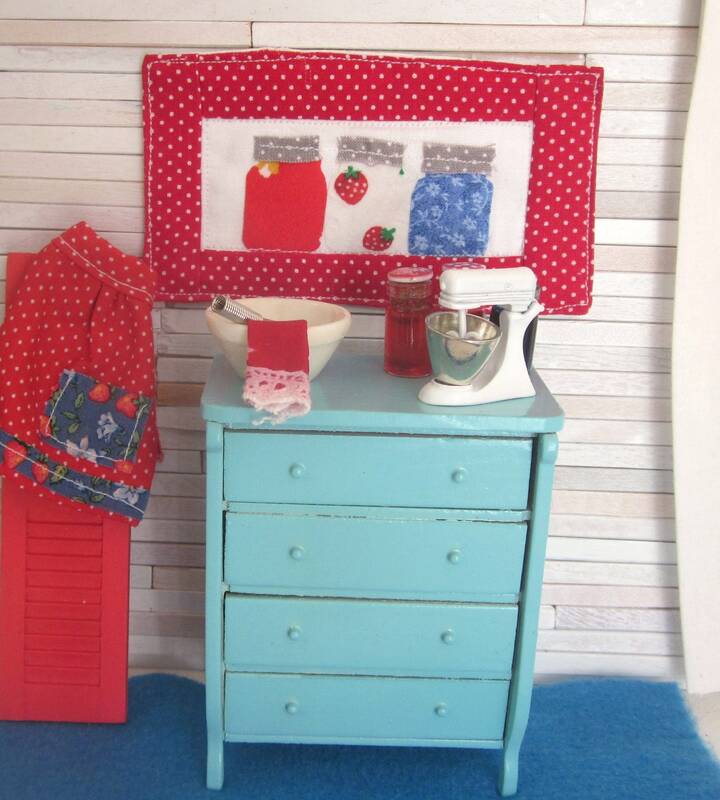 I also have these little quilts displayed in my sewing room and country kitchen on a shelf, hung with tiny little clothespins. So it can be used for small scale decorating besides just using in a dollhouse. 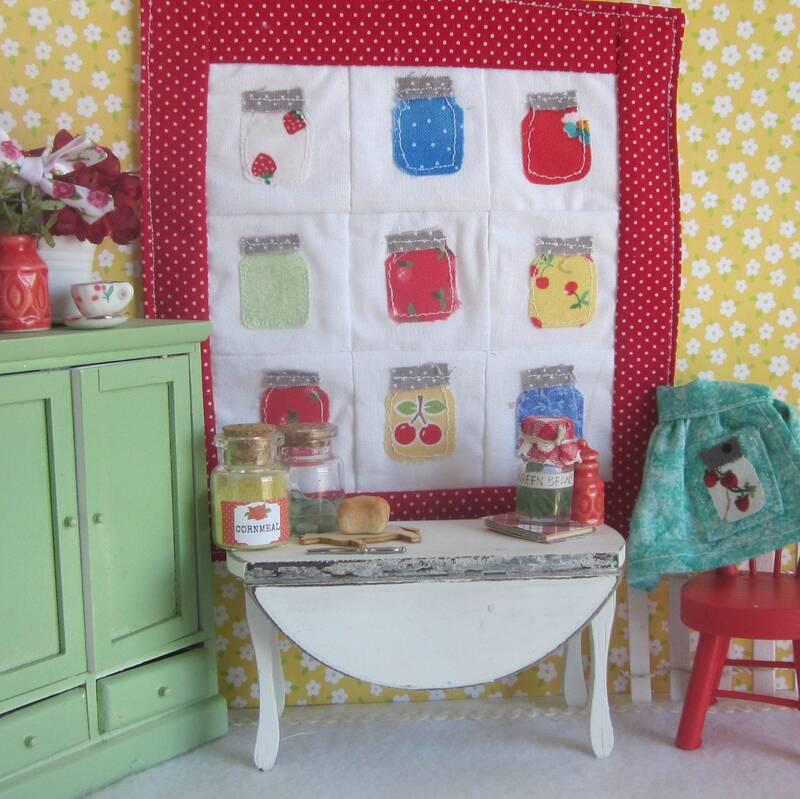 Pattern shows how to make two different quilts using the same canning jar design. Also a small wallhanging. Great for beginners or young seamstresses. My ideas for this quilt were to make it using fall colors for fall designs. Or Christmas colors? Even red white and blue for an Americana look. 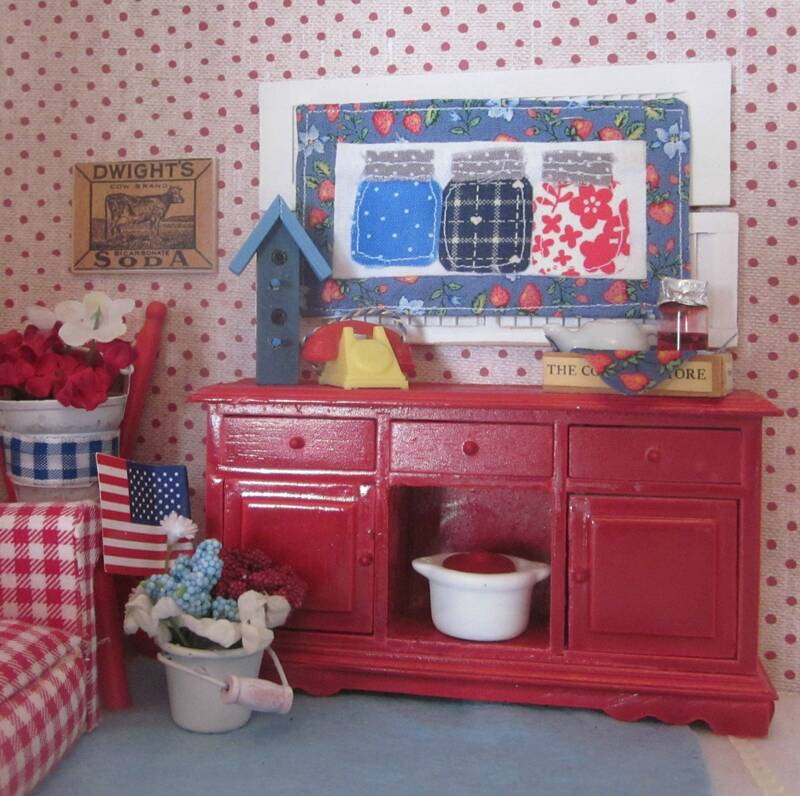 My inspiration was a large size quilt made by Lori Holt of Bee in My Bonnet designs. She is amazing.